Can keto diet be dangerous? What do you mean by keto diet? What are the best keto diet foods you can eat? Is Keto good for weight loss? If you have these questions in mind you are in the right place. Lets first understand what do you mean by a ketogenic diet. A ketogenic diet is a diet where you maintain extremely low carbs level and high fats levels. It also results in decreasing carbohydrates intake and in-taking more good fats. The process of this will put you into a metabolic state called ketosis. A ketogenic diet tends to supply energy by burning the fats and even it supplies that energy to your body and brain. Many people might face problems of lower blood sugar levels. 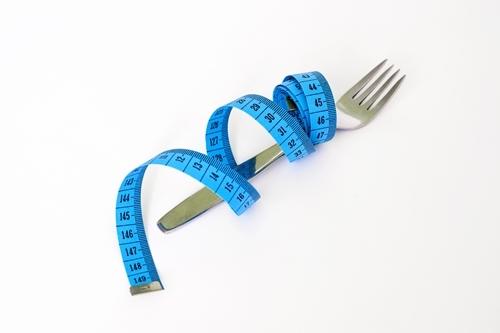 Here you need to start the diet slowly and gradually and not drastically change everything in one day. There are many different types of ketogenic diet you have to chose it according to your needs and your body. A ketogenic diet is mainly used by bodybuilders and athletes on an extreme level but for a normal fit person no need for pushing it to the extreme. Even a normal ketogenic diet will give you many health benefits. How to Lose Weight on a Ketogenic Diet. 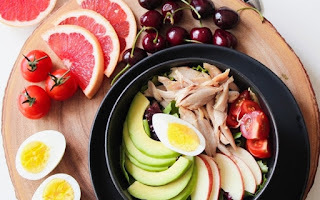 Keto diet and keto diet foods help in weight loss and that is true as the ketogenic diet promotes the fats to get burn and eventually resulting in weight loss. Studies have also proven that the keto diet and keto diet foods lower the risks of diseases. When you are on a ketogenic diet you won't need a Fit-bit to track your steps or calories. Keto diet has its own distinctive nature for weight loss. For losing weight on a keto diet you just need to eat the right keto diet foods which will help in maintaining the lower amount of carbs and a higher amount of fats intake. We have also given the list below of keto diet foods which you can start if you want to do a keto diet. Studies have shown that people who are on a ketogenic diet tend to lose more weight than those who are on a calorie restrictive diet and go to the gym and intake protein. There are many dietitians who are suggesting to opt-in for a ketogenic diet and keto diet foods for people who want to lose weight. There has been also a conflict of opinion between doctors who say that the ketogenic diet and keto diet foods have benefits because of high protein levels and other say that this is beneficial because it has advantages in metabolism levels. The answer is No if you be in your limits and not get weight obsessed. Many people who have opt-in for the diet have taken themselves to an extreme level where they intake fluids via their nose and what not they have done. Everything needs to be in a limit and overdoing it can be harmful. As some experts say that when you are in ketosis you tend to lose the water weight of the body and also there is muscle loss if taken to an extreme level. Research has shown significant and good results of a ketogenic diet and keto diet foods where you maintain low carbs around 20 to 50 gms and high fats levels. Here we will provide you with the best keto diet foods to help you keep the proper diet schedule. Many people think that foods containing high fats are not good but that's not the case. Our body needs to have a well-balanced level of protein, carbs, fats etc. Researchers have also seen certain levels of evidence which has shown that such keto diet foods can also help in avoiding diseases. A ketogenic diet is hard to maintain as eating on time in your daily busy schedule can be a challenge. Keto diet foods have been also researched to have benefits for people having diabetes, obesity and heart disease. List of Best Keto Diet Foods. You can start your diet by including the below food in your daily eating schedules. Vegetables which are low in carbs can be included in your keto diet foods list. These vegetables are rich in nutrients and minerals. If you want to complete your one-day carb count a single potato, yams or beets can just fulfill it. These are known as starchy foods. You can also opt in for 1 cup of raw spinach which contains carbs of 2 grams and also you have brussels sprouts which contain 8 grams of carbs in it. Vegetables are also in antioxidants, other vegetables which you can eat is broccoli, cauliflower, and kale. 2. All Kind of Cheese. Cheese is the best keto diet foods as it is very low in carbs and very high in fats. Here when you buy cheese of around say 30 grams you will intake 1 gram of carbs and 8 grams of protein. There have been studies that showed that cheese is also linked to fat loss because of an acid which cheese has in it, eating cheese has shown results in improving muscle strength and also muscle gain. 3. An Egg is the Best Keto Diet Foods. Eating one large egg including the yolk contains 1 gram of carbs and 7 grams of protein. Eggs are high in cholesterol but it depends upon a person body how it intakes. Some studies have shown that eating eggs have reduced the risk of heart disease. Consuming eggs also keeps blood sugar levels stable for at least 24 hours and have resulted in weight loss. 4. Avocados for High Potassium. Here eating an avocado contains 18 grams of carbs from which 14 grams is fiber so the actual carbs in a medium avocado are 4 grams. Avocados are high in potassium which make it the best keto diet foods because potassium rich intake can help in the process of making the keto diet easier. 5. Seafood is the Best Keto Diet Foods. Fish is the best keto food as they are rich in vitamins and potassium. The number of carbs contain is different for every fish some of them are carb free and some are not. Shellfish like clams have 6 grams of carbs, an octopus has 5 grams of carbs, squid has 4 grams of carbs, this carb calculation is based on 100 grams count. Many fishes like the salmon and sardines are rich in omega 3 which is a kind of fats. Eating fish on a regular basis have also shown results in improving mental health. 6. Dark chocolate for Carbs. The cocoa in the dark chocolate is the major fruit and has a super benefit on your keto diet. Here you need to select particular dark chocolates, not all dark chocolates are keto friendly as many are with high carbs levels. So eating a limited amount of dark chocolate with low carb levels can help in completing the daily levels. Dark chocolate is also high in antioxidant levels due to the amount of cocoa in it. 7. Berries are the Ultimate Keto Diet Foods. Berries are one of the best keto diet foods you can include in your meal. There are many types of berries available all over the world but not all berries can fit into the keto diet. Here we will give you some berries which are easily available and can be included in the diet, the carbs calculations are on the basis of 100 gms. Berries are also known and loaded with antioxidant property and have also show that berries protect against diseases. 8. Garlic and Onion for Taste. Garlic is known to be the oldest super food for treating many diseases and promoting good health levels but it is known to have a strong flavor. These are generally known to have a high amount of carbs but this can be used to add some good taste and flavor to the low carb vegetable you eat. 9. Nuts are the Best keto diet foods. Nuts are generally known to have high fats levels and low carbs which are best for your ketogenic diet. Eating nuts have also shown good improvements in reducing heart disease, a certain type of cancers and also is good in treating depression. Nuts are also known to be rich in fiber and fiber hence help you to absorb a low amount of calories. Here is the list of nuts and amount of carbs level based on 30 grams counting. 10. Butter and cream for Good Fats. Butter and cream will play a role in providing good fats which are necessary for the ketogenic diet. The number of carbs in butter and cream is very less you can say it like there are no traces of carbs. Studies till date shows that butter and cream are unhealthy for the heart but not in every people's case. It has shown that a limited amount of saturated fats are been proven and can reduce the risk of heart attack. The cream has a natural fatty acid which helps in weight loss. 11. Olives or Olive Oil. Olives are the same as olive oil but it is in solid form. You can also use olive oil if you do not like solid olives. Use olive oil to make a tasty vegetable salad and include it in your keto diet. olives are been proven to reduce blood pressure. Consuming 7-8 olives can get you 2 grams of carbs or max 3 grams depending upon the size of olives. 12. Coffee and Tea for Metabolism. Coffee and tea will play a role of getting you the alertness and providing you with increased metabolism rates. But there should be no sweetener or sugar to be used while making coffee or tea. One of the best examples of such tea is kombucha tea. Also, you need to take care of the tea and coffee made from no fat milk, because if you make it from a no fat milk, the milk will contain a high amount of carbs which will get you out of the ketogenic diet. 13. Yogurt for Quick Mixture. Not all yogurt is the best keto diet foods but some of them like the plain Greek yogurt might help. Yogurt contains carbs and is considered to be at a high level but this can be included in your keto diet because it can fulfill your daily carbs in one meal. Only 150 grams of yogurt will provide you with 7 grams of carbs and also 10 grams of protein which is lesser than cheese as cheese has 18 grams of protein. Mix berries, nuts and cheese with yogurt it will taste very nice and can be good for a quick keto diet. 14. Coconut Oil for Fatty Acids. Coconut oil can be beneficial to include in your ketogenic diet because it contains fatty acids which help in reducing the weight of a person. Take 2 tablespoon which is 30 ml approx per day and you will see your waistline reducing in a month. If the taste is weird, try to mix it with nuts and then you can consume it. 15. Meat is the Ultimate Keto Diet Foods. Meat is the best keto diet foods you should include if you are not a vegetarian. Rich in protein, rich in potassium, rich in vitamin B and also rich in several minerals such as potassium and zinc. Remember to eat the meat of an animal which is feed on grain and not on grass because there has been a study which says the meat of animals which are feed on grass can increase your cholesterol. Conclusion - Things to remember. a) If you want to get good results to try consuming these 14 foods on a daily basis. b) Do not do diet one day and leave the other day there should be a consistency for the diet to see results. c) We have listed some of the benefits which we know, there can be much such health benefits of the ketogenic diet. d) the keto diet is used to achieve weight loss, balance sugar level and control it and also much other health-related stuff.